Let both of your paths meet and become one with this halo split shank pave diamonds engagement ring. 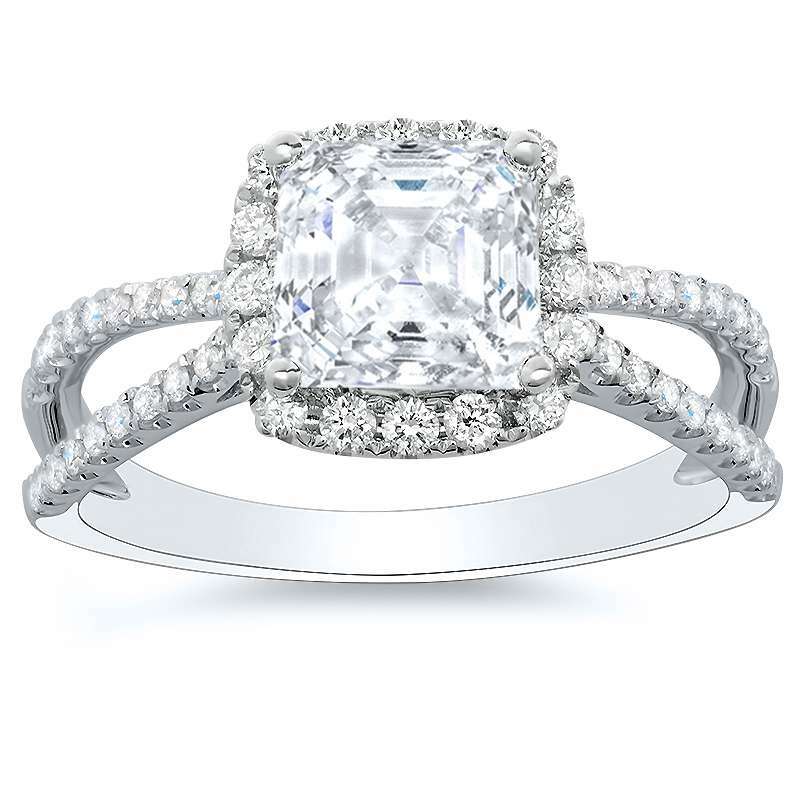 This ring is so captivating that no one will be able to take their eyes off of it. The amazing pave halo setting with a captivating center stone surrounded by a gorgeous train of stones, flow down and around the split shank creating a blinding luster. The ring looks great at all angles and the bride-to-be will always feel close to you as you both walk the path of life in harmony. 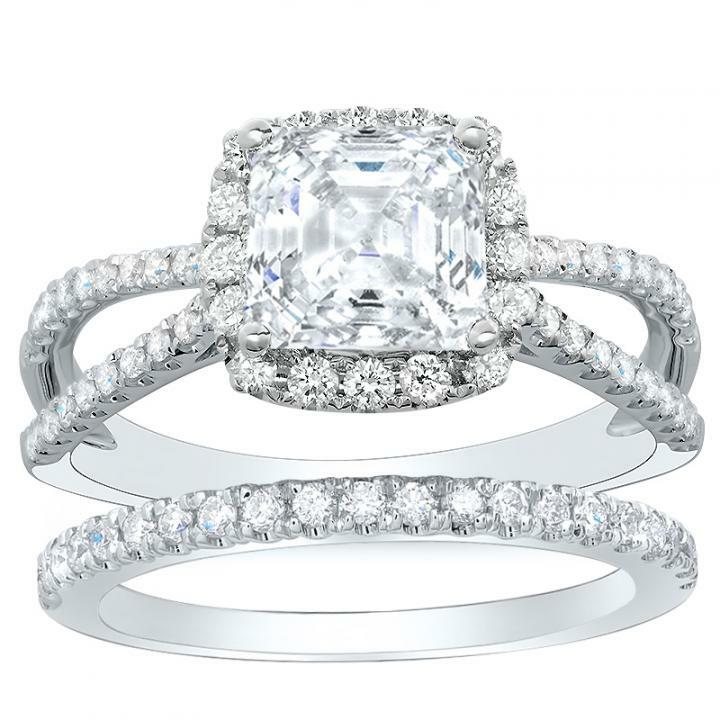 Customize this ring with your own touch of love with the help of Diamond Mansions' Rings, who specializes in an “A+” experience and matching your love one with the perfect ring!